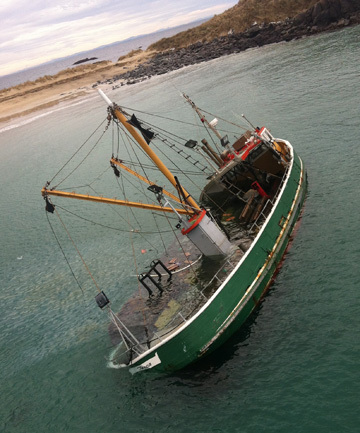 The 24 meter long fishing vessel Torea went aground in Foveaux Strait near Ruapuke Island, New Zealand. The fishing vessel was carrying 23 passengers when it struck a rock off Green Island holing the hull and allowing water ingress. The master of the vessel steered the Torea into the shallows at Ruapuke Island. The vessel contacted the Coast Guard requesting assistance. Two Coast Guard vessels, three helicopters and five fishing vessels responded to the call. The passengers were transferred to the Coast Guard vessel along with a local pilot boat and taken back to Bluff, New Zealand. No reports of injuries. Maritime New Zealand has launched an investigation into the incident.